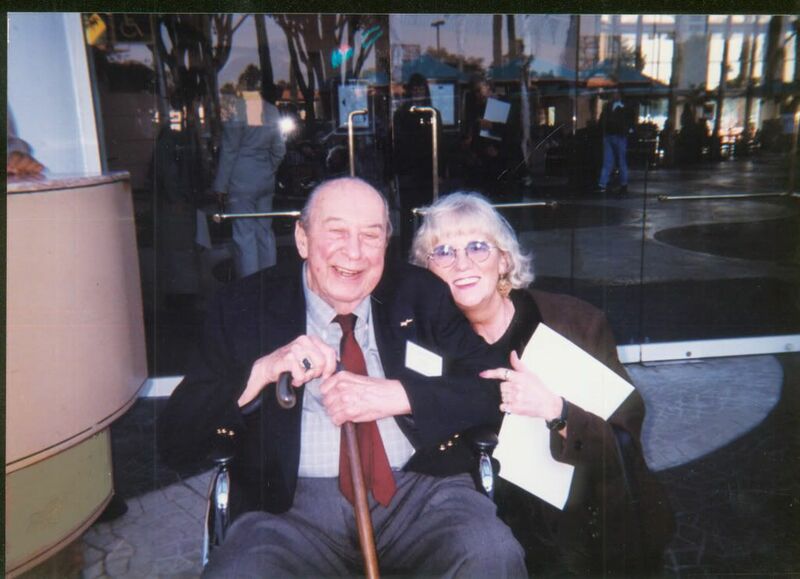 A month before Marc Davis's passing on January 12, 2000, he and Ann Guenther were guest speakers at the Fantasy Fun Club at the Disneyland Hotel. Their mission: To talk about "the old days" at the Disney Studio. In the fifties, men wore white shirts and ties. The women wore dresses. One woman, Renee Henning in the ink and paint department, decided to wear a stylish pantsuit to work. She was called in by Supervisor Grace Turner and told if she wore it again she would be fired. Well, she wore it again and was fired. The photo above was taken by Alice Davis, Marc's wife. Ann Guenther believes it was one of the last photographs of Marc taken. And ... Where Are People Working? "Oh. That's a UNION issue ..."
Hi Def Wars Over? Or Not Over? A Wrap for the WGA Strike?